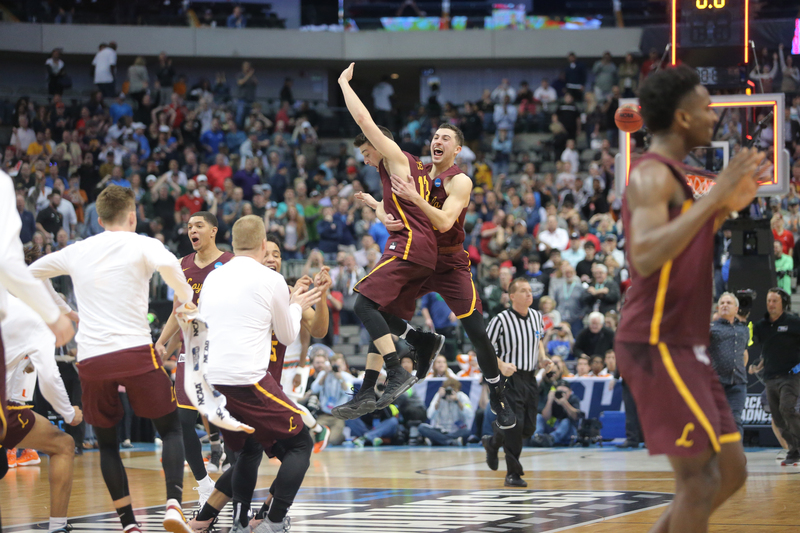 The first two rounds of the 2018 NCAA Tournament were as thrilling as ever, producing 15 upsets according to seedings. March Madness is often unpredictable as we see every year and especially so far in the 2018 edition. We saw the first ever 16-over-1 upset for goodness sakes! UMBC put its school on the map, and is guaranteed to be one of the first images in this year’s One Shining Moment, not to mention March Madness montages for the rest of time. For fans, upsets are exciting to watch and fun to talk about with other fans. As coaches, we know there are deeper reasons why these Cinderella teams were able to take down their heavily favored opponent. Let’s look at some of the sets run by these underdogs from the first two rounds of March Madness. Click on a play to view more info and download it directly to your FastDraw library. Buffalo – The 13th seeded Bulls from the MAC handled Arizona’s talented roster with ease leading to a 21 point victory. This 1-4 set is excellent to create space for quick penetration or the kick out for three. Kansas State – The Wildcats knocked off Creighton in the 8/9 matchup in the South Region. 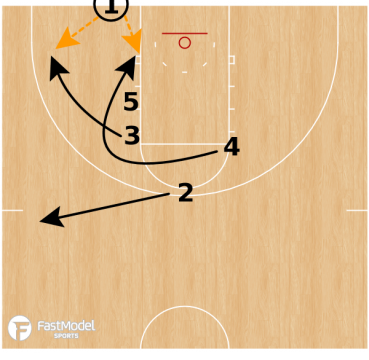 Here’s a creative BLOB designed to get an open look from three using a flare screen as a decoy. Marshall Thundering Herd – Coach Dan D’Antoni got his squad to the big dance for the first time in 31 years using a offensive philosophy centered around space, pace and shooting. The 13-seeded Herd took down 4-seed Wichita State in the first round. Check out Randy Sherman’s blog post on Marshall’s Drag Screen Concepts for more. Butler – As a 10 seed, the Bulldogs upset 7th seeded Arkansas to shake up the bottom half of the West Region. 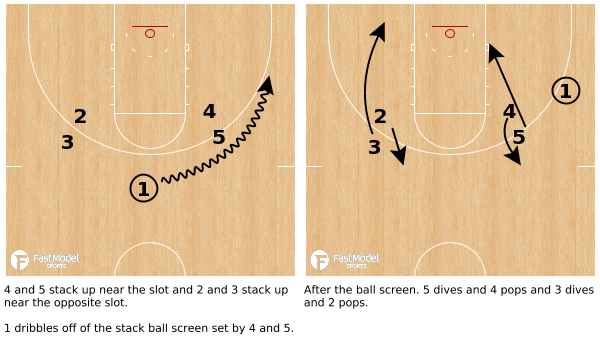 This quick hitting play puts the defense at a disadvantage by forcing 2’s defender, likely a smaller player, to help on the lob pass to 5. Syracuse – The Orange snuck in the field as an 11 seed, even having to win a First Four game vs Arizona State before having the chance to upset #6 TCU in round one, as it did 59-52. 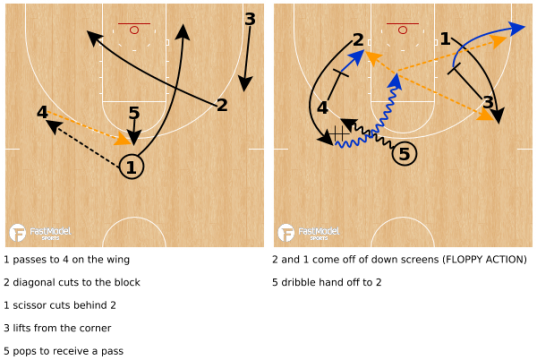 In this set, if the intiial DHO does not allow the guard to turn the corner, the big flips into an invert ball screen. Nevada – Eric Mussleman’s Wolf Pack sent 2-seeded Cincinnati home with a 75-73 win in the South Region. This dangerous 7 seed often runs this stack ball screens set up at both slots. As 1 comes off either screen, both sides split with the top players diving and the bottom players popping. Texas A&M – The Aggies upset North Carolina in the West Region’s 7/10 matchup. 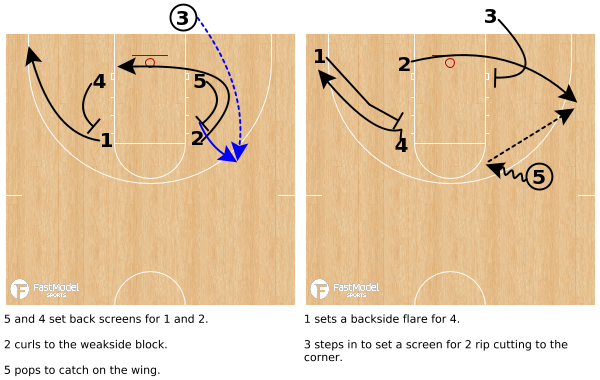 “Slice” is a screen-the-screener set with two options: a back screen for 4, or a jumper for 2. Syracuse – Jim Boeheim’s squad survived again in round two by beating Michigan State, the Midwest Region’s 3 seed, by a single bucket. This BLOB can get a team exactly that if executed correctly. 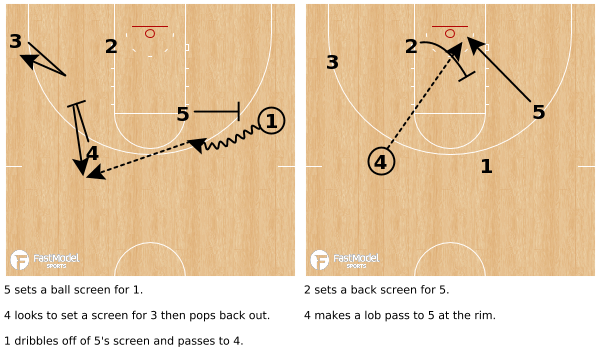 Clemson – The Tigers employ a spread attacking using ball and player movement to isolate a side of the floor for a pindown screen for a perimeter player. This helped Clemson to a 21 point win over Auburn for the 4/5 “upset” in round two. Here, 3 and 5 play 2-on-2 with no help defenders in the area. Visit the FMS PlayBank for all new sets submitted by our contributors during the NCAA Tournament. Get FastDraw so you can download all these plays directly to your library for customization and playbook creation!